While WonderCon wasn’t entirely a bright spot for gaming this year, Nintendo made its usual presence alongside Capcom. While the Amiibo craze carried on as Nintendo was calling for Amiibo battles, it was their upcoming shooter Splatoon that had many gamers getting in line to play again and again. After getting some time with the game, there was definitely good reason for the repeat customers. 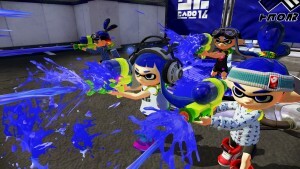 Splatoon’s demo was set up to show off its 4-v-4 multiplayer Turf War mode. You’ll play as an Inkling, a bouncy half-human, half-squid being. They actually look more like elves; maybe that explains the bouncy element. There’s not much complication with Turf War: cover as much of the map’s ground with your team’s ink to win the round. The King of the Hill mode was not available during the demo. Your basic type of weapons are available to spread ink – automatic, shotgun-style, “super weapon”, and bombs. Unlimited ammo is a feature, but will deplete fairly quickly, so it’s best not to drain everything because you’re bound to find yourself ammoless in a showdown with an enemy. The point isn’t necessarily to rack up kills, but doing so will slow down the production of ink from the opposing team, giving you a slight advantage. The ability to switch between human and squid form can be key tactically. Squid form allows you to swim through the ink-covered ground and effectively camouflages you. However, this comes at the expense of your ink supply, so you can’t completely ambush the opposing team. One of the trickier elements, at least at the start, is not to spray everywhere. It’s a natural reaction and leads to the walls and ground being covered in ink, but the walls won’t count, so it’s wasted ink: so be mindful to not get too crazy with the gamepad’s direction, as that will be your aiming system. Perhaps the only downside to Splatoon was the lack of voice chat. But would any of us have been able to speak through the smiles everybody had throughout the matches? Who knows! 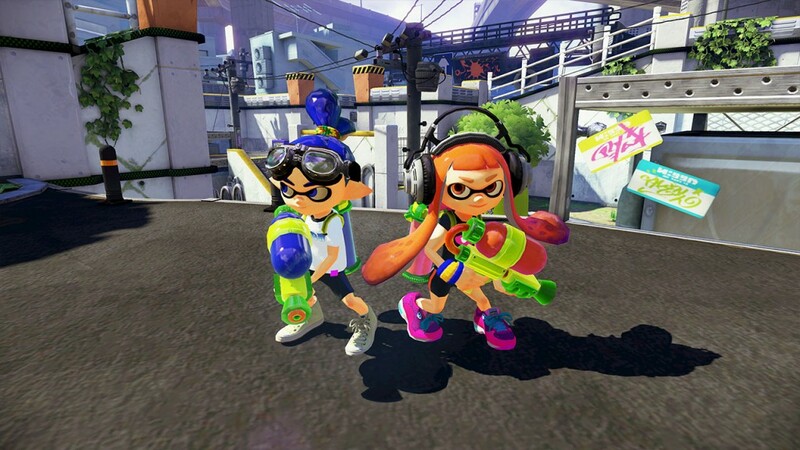 Splatoon offered a simplistically joyous experience that may prove to be the right type of shooter that Nintendo could use at this point. It will feature a single player campaign in the full game, but the focus will be onteam-based multiplayer. The game appears to be just casual enough, but with the right amount of “Triple-A features” that one would expect elsewhere mixed in. It’s family friendly, but not overly so. 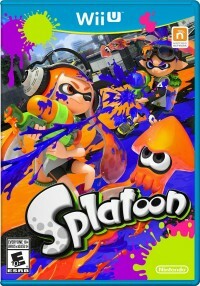 Splatoon will be released for the Wii U on May 29, 2015.